Sedum spurium 'Ruby Mantle'. If you are looking for an easy-to-grow groundcover for a hot dry area this plant is it! It has been called a "weed-smothering" perennial that displays pink flowers in summer. Early foliage is green, maturing to red as the season progresses. 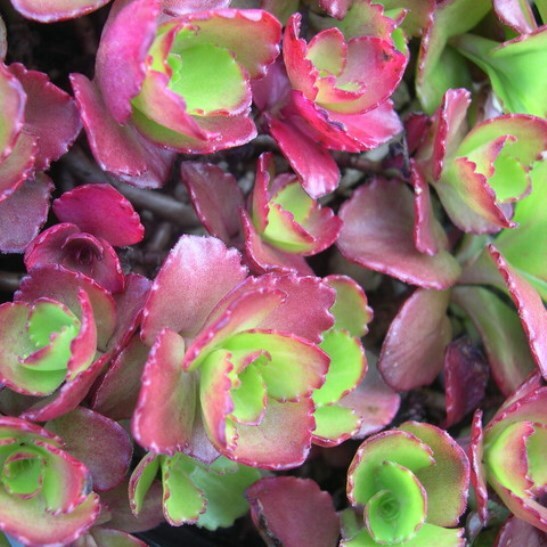 Works great in containers and rock gardens due to its preference for well draining soil.